Get the most from your paid advertising with Twitter Ads by tracking your booking conversions using a Twitter tracking pixel. You'll need to create a Twitter Pixel ID via your Twitters Ads account. 2. Select the "Tools menu" menu at the top of the page and choose the "Conversion tracking" menu option. 3. 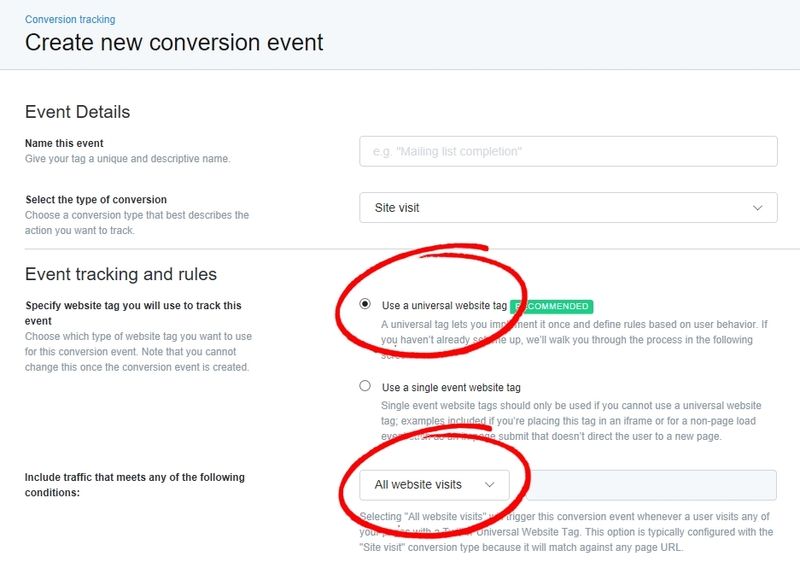 Click "Create new conversion event"
Please note: if you have already created a Twitter Pixel ID, open an existing conversion event to find it. 4. 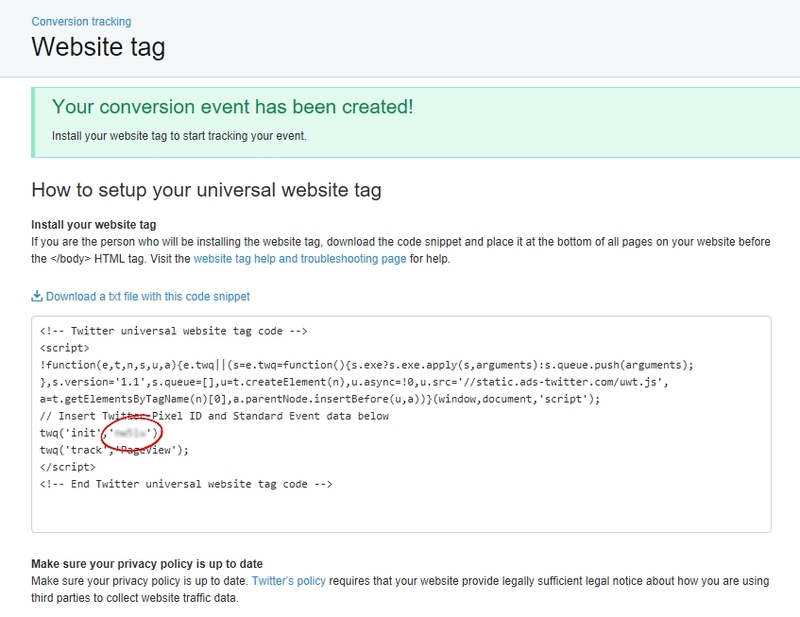 When creating the new conversion event, select the "universal website tag" option and track "all website visits". Agree to the terms and conditions and click "save conversion event". 5. Copy your Twitter Pixel ID. 6. Log in to your TicketSource dashboard and select the "Settings |Analytics and Tracking" menu option. Tick the option "Enable Twitter pixel tracking on box office pages", enter the Twitter Pixel ID and click "save changes". Your Twitter Pixel will track completed bookings for your TicketSource event.